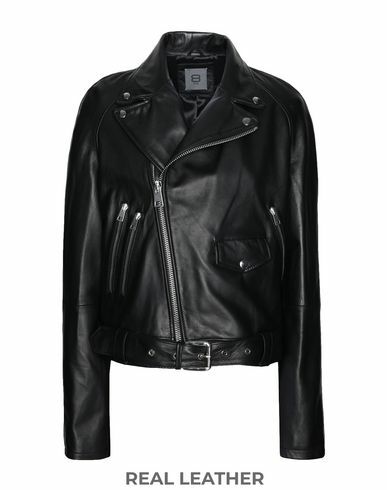 This studded leather jacket with zip, buttons and waist belt adds a touch of rock’n’roll to even the most classic of outfits. An undisputed icon in any men’s or women's wardrobe, whatever the season: pair this jacket with a T-shirt, jeans and sky-high ankle boots for a bold look bursting with character. Model is 5'10"/180 cm and wears an S.